Now that the early signing period is in the books it’s time for Nebraska to reload and reorganize the recruiting board to finish strong on the traditional February signing day. Offense is this staff’s specialty so who are five targets left on the board that you should keep an eye on? Corbin is an electric runner who would provide the Huskers offense with another dynamic player in the backfield. Yes, Nebraska signed the top junior college running back in Greg Bell, but this staff has used multiple running backs in the past. Corbin gives them more speed than anyone currently on the roster. The tall-but-fast receiver has seen his recruitment blow up this season. He recently took a trip to Georgia and they look like a strong contender for him. However, Frost and Walters have made him the top priority so far of players that the previous staff was after at the position. He has received two in-home visits so expect Nebraska to keep up communication with Bush. To this point, Crocker has not received much communication from the new staff. With more evaluation time, I believe that they will circle back to Crocker who almost committed to the school when he took his official visit back in September. If Troy Walters pushes, Crocker could be part of the class and is a great fit on the field for the offense. Porter has speed to burn so of course he fits into the offense. Walters did an in-home with Porter the same day as the Husker volleyball team won its national championship and offered him a scholarship. 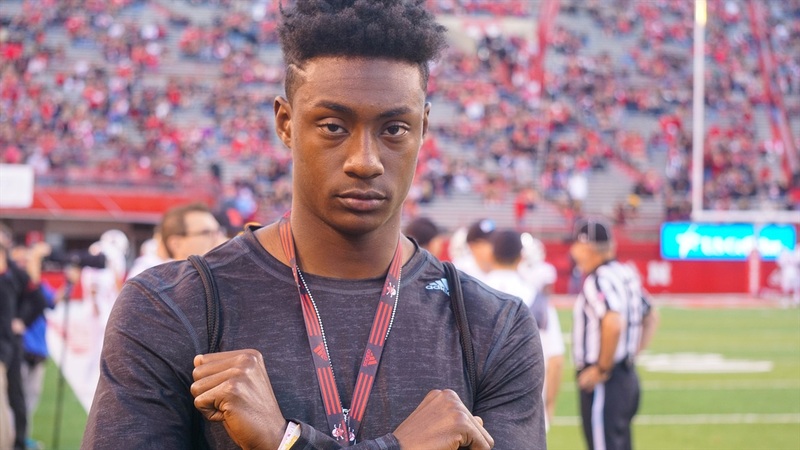 The former Notre Dame pledge still has two official visits left, expect the Huskers to push hard to get him on campus. Nebraska will likely only take one more offensive lineman in this class because there are other needs that are much greater. The big man (6-6, 320) would be a great addition. Hall is a very smart kid and plays with a mean streak on the field. He has confirmed with me that he is taking a visit on Feb. 2, the last weekend to host visitors before signing day. The Vanderbilt commit did not sign his letter of intent with the school during the early signing period which is great news for Nebraska since it wants to host him for a visit. He is a dynamic athlete who could play on either side of the ball. Nebraska seems to like him at wide receiver. He is scheduled for a Jan. 12 visit.